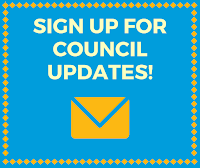 Funding recommendations from the Community Development Block Grant (CDBG) Non-Social Service and Social Service Committees were presented to the Council with explanations on how the decisions were handled. The final recommendations from both committees will be presented for public hearing at the February 17 Council Meeting. 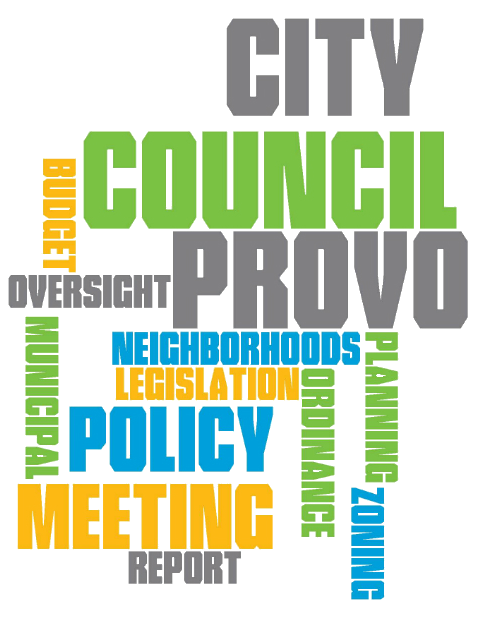 The Mayor's office and the City Council office have regularly received calls from Provo schools asking if we plan to reinstate the youth government program. After hearing the history of the program, Council Members discussed the level of interest as well as how best to restart the program. Hal Miller volunteered to serve as an advisor to the groups but preferred to see it organized more as a youth advisory council rather than a more formal youth government. On behalf of the City Council, Gary Garrett and Kim Santiago read a tribute to Stephen Hales. In the last Council Meeting he attended, Hales presented the new Provo City flag design which the Council voted unanimously to approve. The Provo City Honor Guard brought in the flags to begin the February 3rd meeting, with the new Provo City flag included. The master plan for the downtown area is now the second neighborhood plan to be presented to the City Council. City planners clarified that the purpose of this plan is to establish the City's vision for the downtown area and a way to establish priorities but does not change or control property rights. For the purpose of planning, downtown was divided into separate districts, but these are not meant to continue as named areas. Council Members heard comments from several residents and also considered comments submitted on the Council's blog and Facebook page as well as discussions in Provo-focused Facebook groups.The Council intended to vote on the adoption of this plan at the meeting, but ended up continuing this to the February 17 meeting to ensure that some minor technical items could be taken care of first. Held a public hearing and approved an ordinance amending Chapter 18.01 of the Provo City Code to comply with the Federal Clean Water Act and the Department of Water Quality. Held a public hearing and approved a resolution to place six parcels in the Vivian Park Subdivision and a 48.57 acre parcel of ground adjacent to Vivian Park along South Fork Road on the surplus property list and authorizing the mayor to sell the property.